Help you to create personal chemistry and teaches you powerful communication skills. Leaders are more effective when they know their Life Focus and what motivates them. ​Their results increase exponentially. Listen to an introduction by Dr Tony Alessandra... and buy an online Assessments Report below. An indisputable fact is that people prefer to interact with people they like. The ability to create rapport with people is a fundamental skill in sales, management, personal relationships, and everyday life. The goal of the DISC Individual Online Report is to help you create personal chemistry and productive relationships. You do not have to change your personality, you simply have to understand what drives people and recognize your options for effectively dealing with them. DISC teaches you powerful life skills that will serve you well in all your relationships - business, social and family. Nearly every sales interaction with each prospect can be a success… if you know how to adapt to different buying styles! 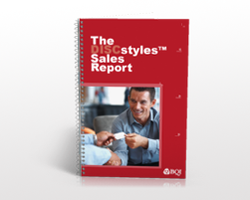 If you are interested in improving your sales results-immediately-we recommend that you start by taking the DISC sales online assessment first, so you can practice the proven techniques described within the report. An indisputable fact is that people prefer to work for people they like and respect. The ability to create and maintain rapport with people is a fundamental skill in leadership and everyday life. The goal of DISC Leadership is to give you key information that will help you create personal chemistry and productive relationships. You do not have to change your personality, you simply have to understand what drives people and recognize your options for effectively leading them. DISC Leadership teaches you powerful skills to help you become an effective leader.